Get Covered! 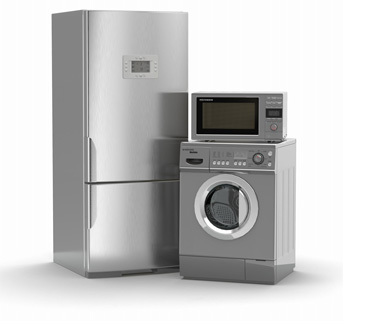 A Home Warranty protects you against the high cost of repairing and replacing the systems and appliances you use the most such as the air conditioner and heater, refrigerator, dishwasher, stove, oven, washer, dryer and more! Advanced Home Warranty is the smart choice in home warranty protection. According to a Gallup poll, 75% of both buyers and sellers rate home warranties as one of the most important features when buying or selling a home, aside from location, design, and financing options. Homeowners, buyers and sellers alike all over know that repairing a household can be an enormous expense. With a home warranty, you can rest easy knowing that you and your family are in good hands. Average Repairs Without A Home Warranty Can Cost You Anywhere From $100 - $1000! You never know for certain when a covered major system or appliance in your home will break down. But sooner or later, everything wears out. Whether it's your heating system or even a dishwasher - nothing lasts forever. Your home is most likely one of your biggest investments. Unexpected repair or replacement costs of covered items can easily strain your budget. Finding a qualified professional to solve your problems can also be stressful and inconvenient. Our plans offer comprehensive protection against the high cost of repair or replacement of properly maintained major systems and appliances.